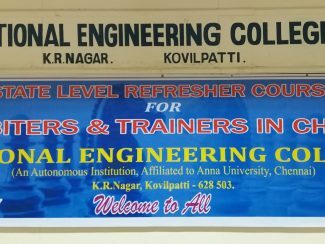 With a vision to update the arbiters and coaches of Tamil Nadu with the latest rules in chess effective from 1st July,2017 a refresher course was organised by National Engineering College, Kovilpatti and Thoothukudi District Chess Association on behalf of Tamil Nadu State Chess Association at the college campus on 30thJuly 2017. 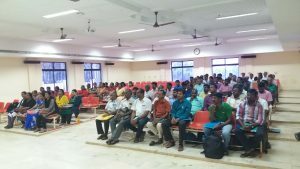 About ninety arbiters holding FIDE, Senior National and State titles and twelve coaches from various districts participated in the one day event. 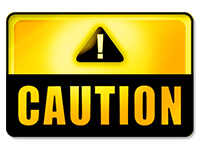 The arbiters were divided into two batches for easy and efficient interaction. Mr. S Paul Arokiaraj an A grade International Arbiter elaborated the changes in Laws of Chess, Rating and other regulations, which is being followed all over the world from 1st July 2107. International Arbiter M.Ephrame, Joint Secretary of Tamil Nadu State Chess Association explained the features of tiebreak and rating regulations besides the role of arbiters in the tournaments. 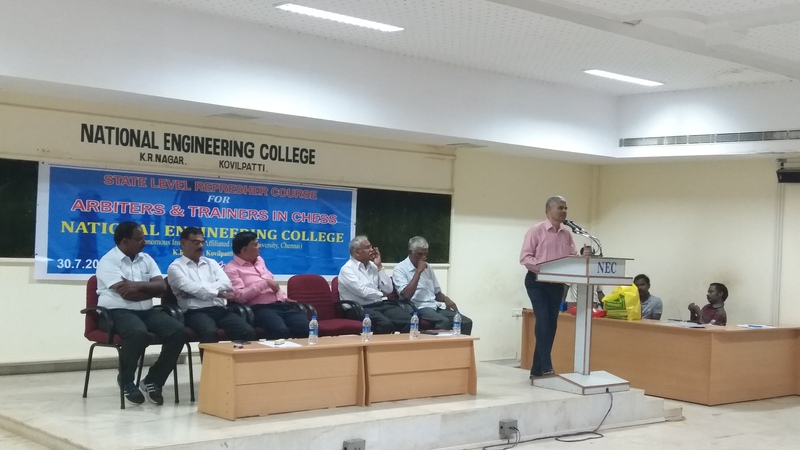 International Arbiter B. Sakthi Prabhakar discussed the basic aspects of pairing. International Arbiter R. Anantharam, Councillor, FIDE Arbiters’ Commission had a detailed discussion on several case studies in the afternoon session. There were interesting and lively debates and exchange of views and the participants enjoyed both sessions very well. 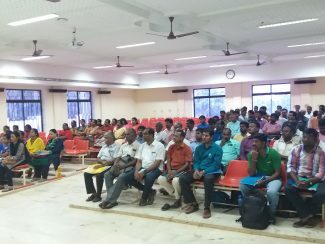 The clinic for coaches was handled by Mr. V.Hariharan International Arbiter & FIDE Trainer, former secretary of TNSCA and AICF single handed. His classes were very enchanting, interesting and easily absorbed by the participants. 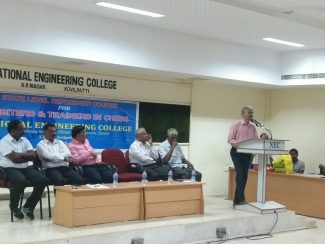 The refresher course was inaugurated by Dr. Shanmugavel, Principal, National Engineering College in the august presence of Mr. P.Stephen Balalsamy , General Secretary, TNSCA and Mr. V.Hariharan. The college management was generous to provide breakfast and lunch, besides a beautiful memento to all participants. Their hospitality was so good that they arranged buses from the seminar hall to the hostel for lunch to avoid the scorching sun. All the participants were of the opinion that more of such refresher courses have to be conducted in future.